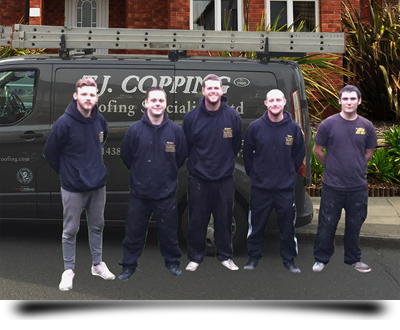 T. J. Copping Ltd Roofing is a fourth generation family run business. We were established in 1960 and are based in Stevenage, Hertfordshire, formally based in Finchley, North London. We cover all of London, Hertfordshire and the home counties. 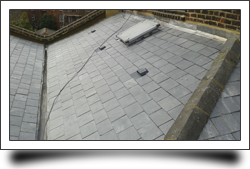 All our new tiled, slated, flat roofs and guttering is guaranteed for 10 years, and all estimates or quotations are free of charge and with no obligation. For your peace of mind we are fully insured and a trusted member of the Guild of Master Craftsmen and Checkatrade.com. 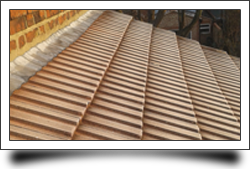 Because T. J. Copping Ltd are based in Stevenage we are in an ideal location to provide an extensive roofing service throughout the Hertfordshire and surrounding areas. No matter what roofing project you have in mind, T. J. Copping Ltd can take care of all the details from start to finish. There is no roofing project too big or too small for us. We can supply testimonials from a long list of very satisfied customers for your added peace of mind. 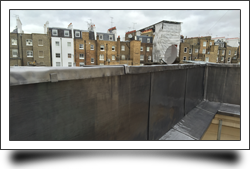 The cost of employing some of the London based roofing firms can work out very expensive and can also be a bit of a gamble as their business credentials are sometimes exagerated. 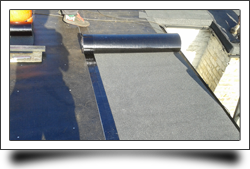 With T. J. Copping Ltd you can rest assured that you will be employing a thoroughly professional, long established and ethical specialist roofing company. So if you have a roofing project that needs tackling, call in the professionals at T. J. Copping Ltd Roofing Services, we look forward to working with you.